Retro synthwave retro design. Road to sunset. Skyscrapers and palms. Vector illustration. 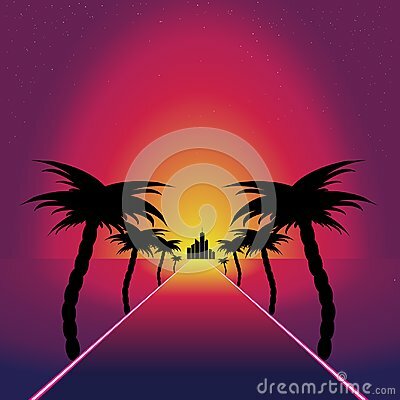 Synthwave illustration with dream road, grid and palms.